Some of the things we do. You get the best pharmacy experience in the industry. Nothing compares. Wellness bar, tablets, even kids watch their favorite shows on iPads while waiting. While we are filling your prescription, you can request an interactive PIN. Download our app, enter the PIN and interact with your prescription as the pharmacist is filling it. Learn about the drug, uses, how to take, dosage, side effects, what to avoid and so on. Make sure the medicine is what your doctor ordered. If not, notify the pharmacist right away and problems are solved right there. You can even take a quiz to see how well you know your medicine! Not only are you a partner in the process of filling your prescription, dispensing errors are virtually eliminated. Have a cold or not sure what you have? Go to a tablet next to the shelf or download our Self-Care Health app and efficiently take care of this health challenge using our interactive proprietary app. We are blazing the trail and innovating around making self-care health care more efficient and results oriented for Americans. Not sure which probiotic to take or which sleeping pills to get or all those cold medicines on the shelves confusing you? Just use our Self-Care Health app to compare them side-by-side. I love this part. Get the dose of a child's over-the-counter medicine using the child's weight - Even Benadryl®! Free home delivery - Prescriptions, OTC, Personal Hygiene, Cosmetics. What we sell, we deliver to you. Communicate with us by text, email, facetime or skype. Our goal is extreme convenience. Imagine your child is sick and you have not slept all night. Or maybe it is you, haven't slept all night and ended up in the doctor's office first thing in the morning. Won't it be nice to have the doctor's office or ER electronically send your prescription to the pharmacy while you go home and get some rest? You love that. Don't you? More of the things we do. We provide immunization for adults in a comfortable professional setting. We have a beautiful consultation and flu shot room for this. See the gallery for pictures. Doctor wants to customize your medication? We will compound it if the doctor sends the prescription to us. Skin care, children's medicines, veterinary drugs, special medication delivery methods. We compound these at your doctor's request. Compounding is a practice of customizing medications for individual patients whose needs cannot be met by FDA-approved drugs. 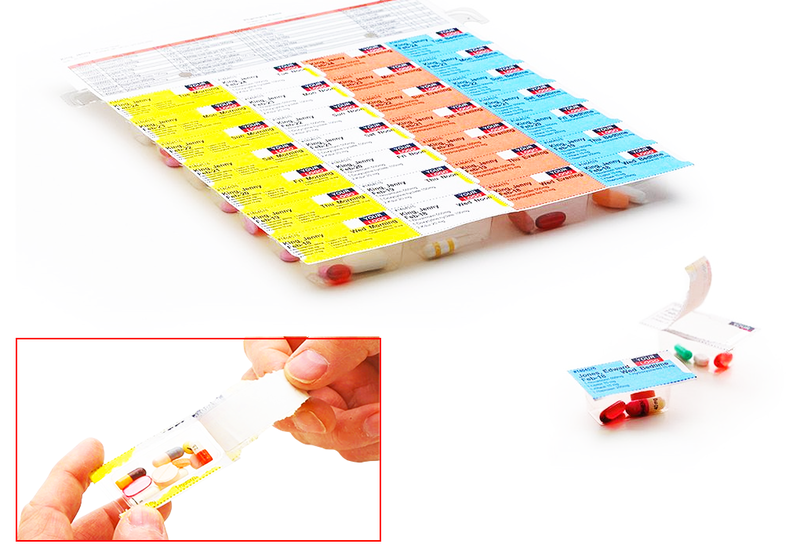 We package medications in easy to open blister packs to improve medication adherence for you and the family. We will package you or your parent's medications so they won't have to spend 2 hours putting it in weekly or monthly pill boxes. Pet compounding focused pharmacy. Very low prices! Chew-A-Treat? We have fish for cats, bones for dogs. Your pet will love us! Medication therapy management. Is that medication working for you? Are you comfortable taking it? Do you need that medicine? Are you taking it the right way? Do you even know why you are taking it? We manage these for you and your family. Drug therapy, drug interactions, drug use, adherence programs. We organize monthly drug information seminars for our customers to inform them of the latest trend in meeting their healthcare needs. Some many more of the things we do. In-store, on the shelf tablets. Not enough? Download our app called SelfCare Health to take care of your self-care needs or Ask for the pharmacist. Use our self-care healthcare proprietary app to meet your needs in store and at home. We flavor children's antibiotic medication at no extra charge. Other meds are flavored for a low low fee. Let your child take that medication without hesistation. Let us flavor their medicine. We carry medical devices. We make them work for you as intended. As innovators, we are always on top of the latest trends in healthcare including devices.